Google's Internet-beaming balloons are ready to take off on the next phase of their mission to deliver online access in regions where most people live offline. The balloons will begin hovering in the stratosphere above Indonesia in an expansion of the project announced yesterday. About 250 million people live on 17,000 islands in that part of Southeast Asia, although only 42 million have Internet access. 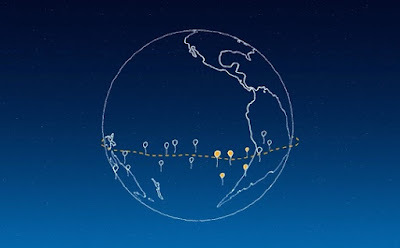 Google's 2-year-old program "Project Loon" aims to change that by transmitting high-speed Internet signals from clusters of balloons floating about 60,000 feet above the Earth. The Indonesian expansion follows extensive testing in New Zealand, Australia and remote areas in California and Brazil. 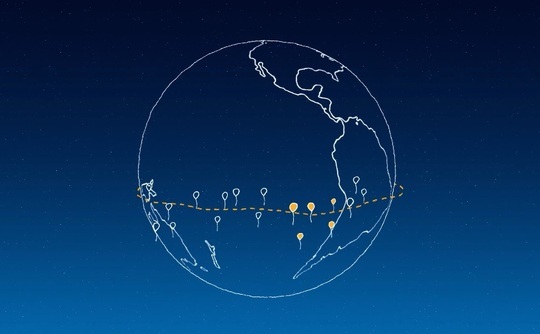 Project Loon started in Google's X lab for off-the-wall projects. The lab is now run by Google's parent company, Alphabet Inc.